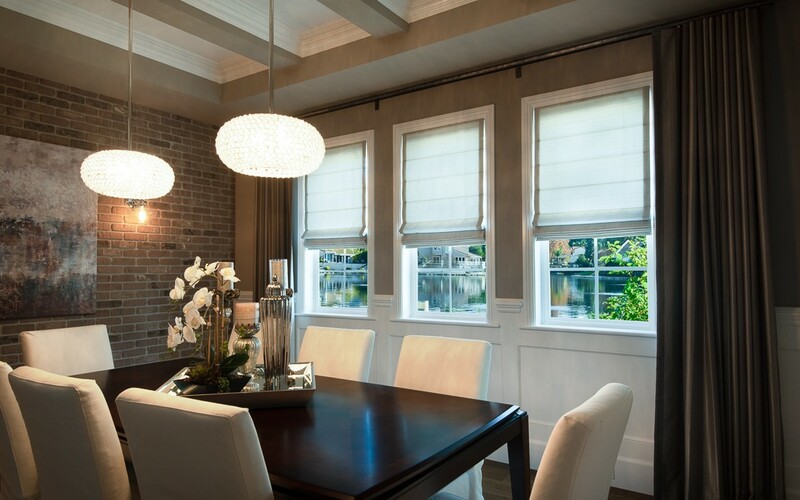 Take a look at some of the recent decorative blinds and shades projects we have completed. When you work with Galaxy Draperies to purchase Window Blinds and Shades, a project manager gets assigned to you. They contact you by phone to find out more about your project. Time for your appointment! 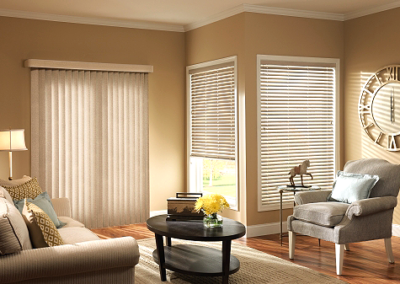 Your window covering consultant arrives with a variety of Window Blinds and Shades samples, takes measurements, & provides you with a quote right away. 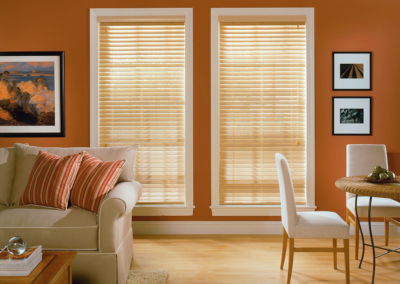 Once your order is placed, we begin manufacturing your Window Blinds and Shades to fit perfectly. 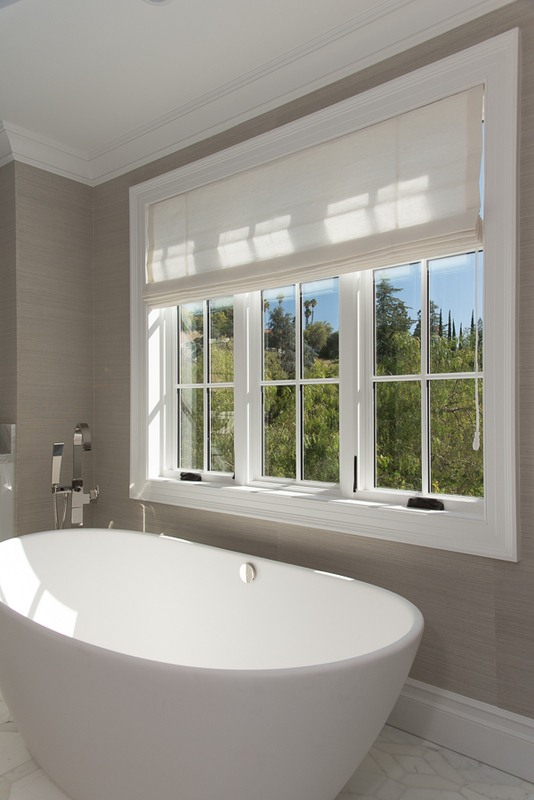 All of our window coverings are produced locally here in Los Angeles. Finally, it's time for installation! 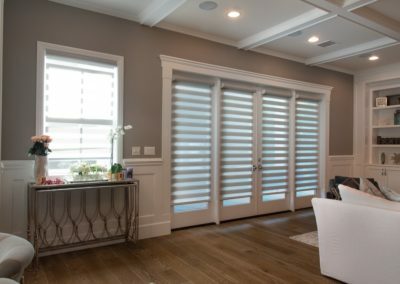 Once your Window Blinds and Shades are completed and pass our quality-assurance process, we'll call you to set up installation. After installation, sit back & relax. 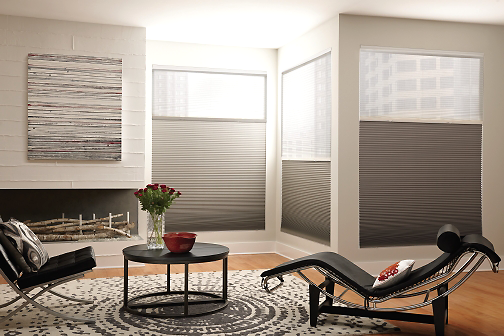 Decorative blinds and shades are a great way to update the existing décor of your room, reflect your personal style and enjoy the benefits of privacy. At Galaxy Draperies, we are passionate about custom window treatments and excited to help you choose the right material, texture and color to compliment your home. 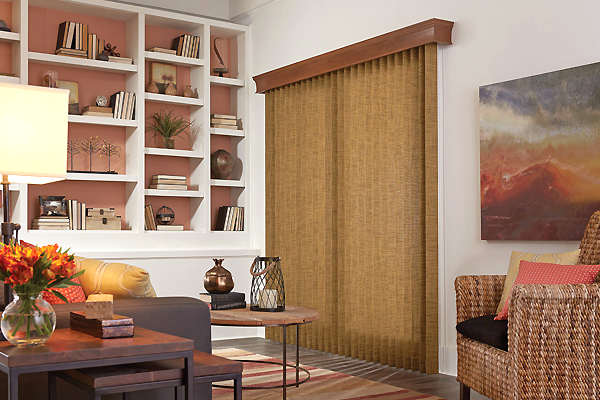 Our collection of decorative window blinds and shades include lively patterns, textural solids, colorful materials and inspiring prints all at an affordable price. 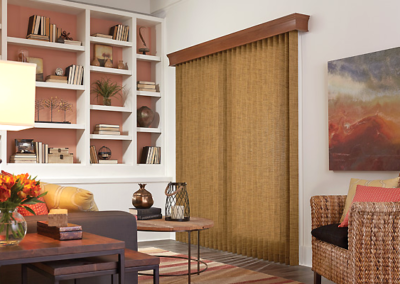 From honeycomb shades, cellular shades and roman shades to horizontal blinds, vertical blinds and wood blinds, Galaxy Draperies will help you make a statement with colorful options designed to match your home’s décor. 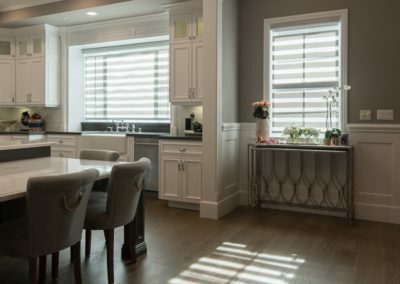 We can custom-make all other types of decorative window blinds and shades including multi-layer window treatments that use drapery panels, custom curtains, cornice boxes, side panels, and any other top window treatments. 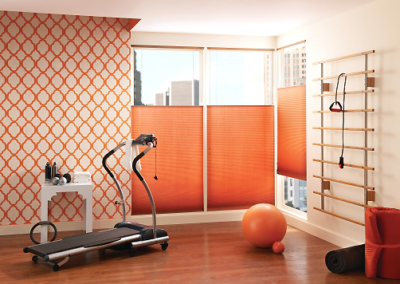 Our array of print, fabric, and color options makes it easy to coordinate with your room’s décor and accessories. 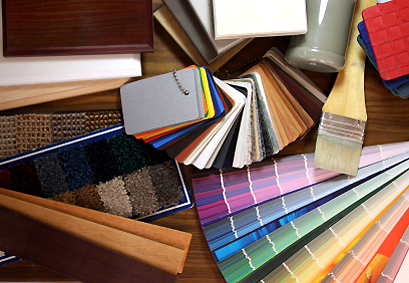 You’ll love what we can custom-create for your home décor needs. Get rid of those boring old aluminum blinds! 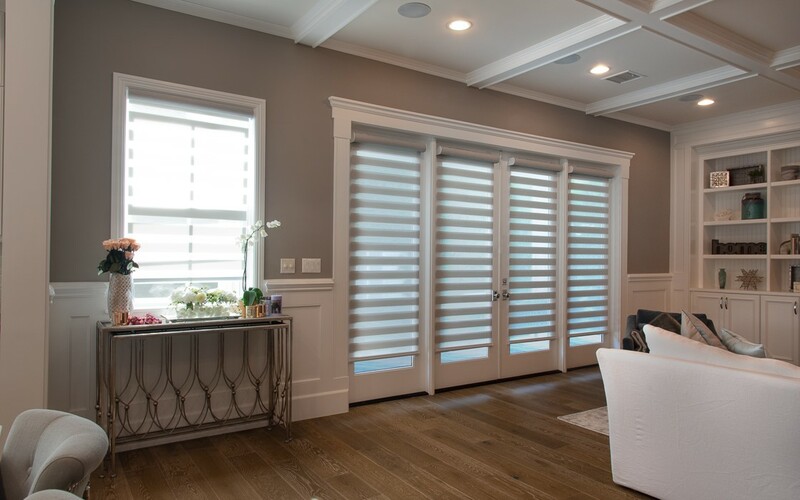 Our custom wood blinds and faux wood blinds all come in a variety of different options and are available in either horizontal or vertical format. 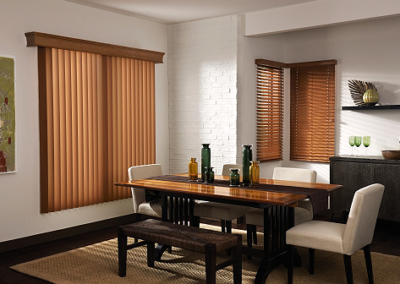 Our genuine wood blinds are available in a variety of rich finishes, colors, and textures that will bring a natural warmth and beauty into your home. Their durable design will last for years to come. • Automatic lift or manual lift systems that are child and pet safe. • Translucent or room darkening lining to enhance privacy. • Unrivaled range of stylish fabrics and textiles in colorful patterns. • Handcrafted and manufactured in our Los Angeles warehouse. Book your complimentary in-home consultation now! 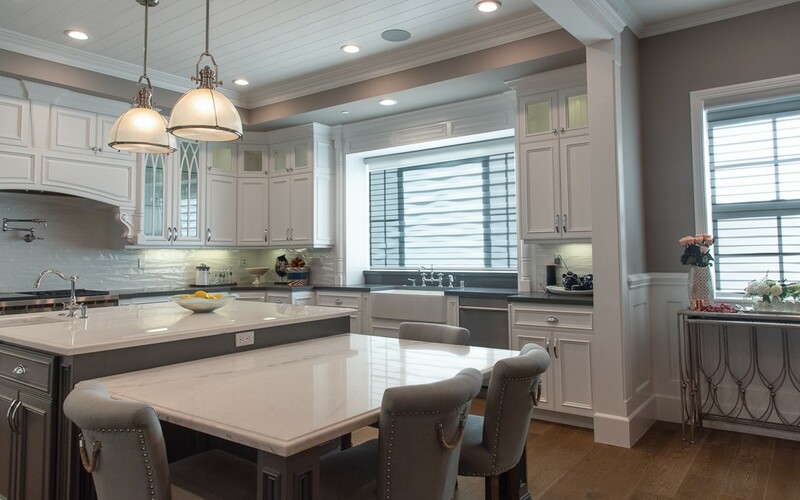 Your window covering consultant will arrive with a variety of coverings, samples, fabrics and colors to help you choose your custom decorative window blinds and shades. 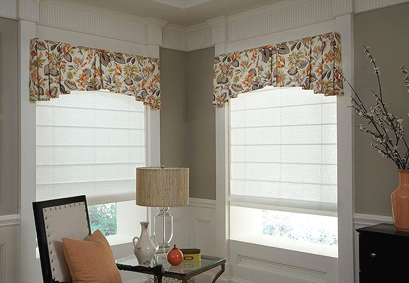 We’ll take window measurements and provide you with a quote right on the spot for your custom decorative blinds and shades. I’m on a budget and Rick was helped me find the perfect, affordable solution. We ran into a snag due to a manufacturer’s delay, but Anabel immediately found another manufacturer and they made/installed the blinds promptly. I love my wooden blinds and I plan to order more in the future. Great family-owned company! The team who came to do the measurements and installation were very professional as well and we are very pleased with the end results. I would definitely recommend them to friends and family. We are very pleased with the work and personnel from Galaxy Draperies. Matt understood what we wanted, and was very helpful. We had planned on only one room, and ended up measuring for three. After Matt left, we decided to do our living room as well. The installer was prompt, and very professional. Our blinds look great!! Matt even made an appointment to come by and make sure that everything looked good. Highly recommended!!!! 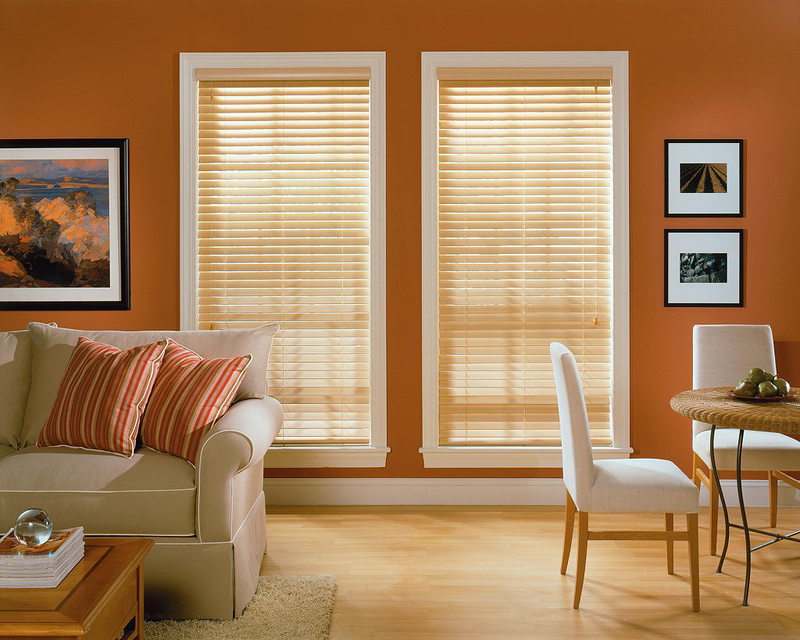 What are sheer shades / blinds? 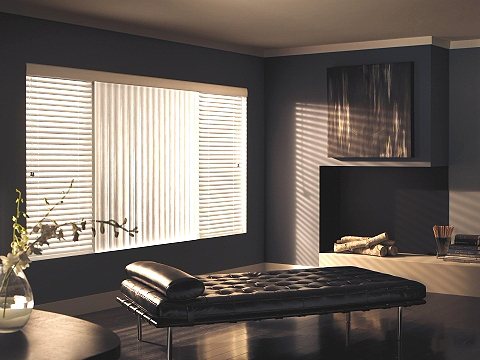 Sheer shades are a product the combines the functionality and aesthetics of blinds and shades. They consist of horizontal slats placed between layers of sheer fabric. These slats can be opened and closed just like slats on regular blinds. There are also room darkening options. What are the basics of roller shades? 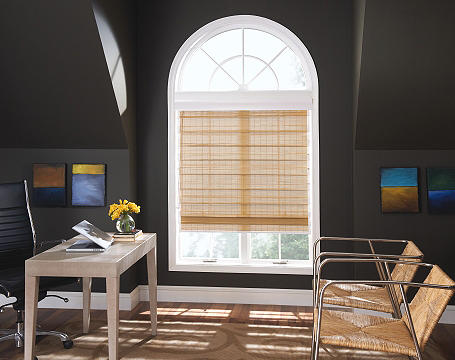 A roller shade is a simple shade that lays flat when lowered and when raised, it wraps around a cylinder. 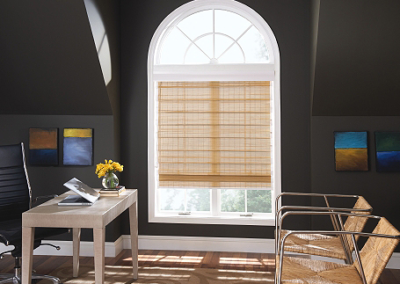 Roller shades come in a wide variety of materials, from blackout material to sheer and everything between. 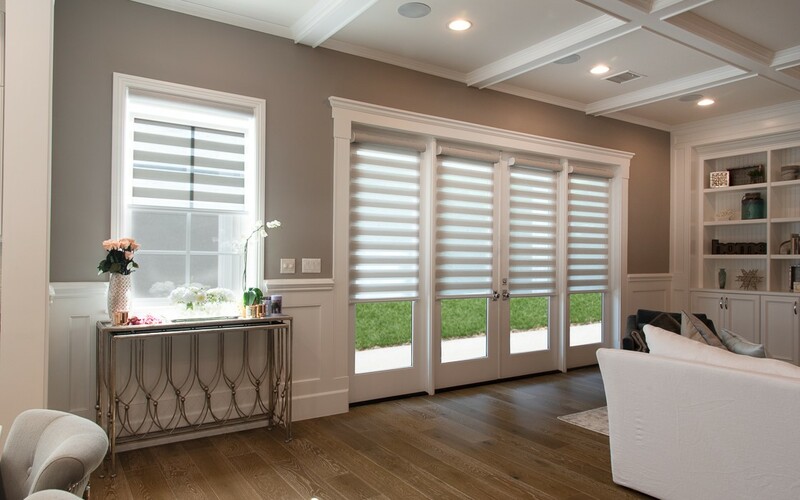 Cellular shades come with varying degrees of light filtration from a translucent shade that lets most light in while protecting privacy, room darkening shades and event to a full blackout shade option. 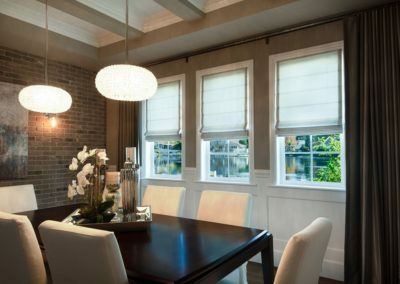 How do cellular shades work when it comes to energy efficiency? The cells in cellular shades hold trapped air creating a buffer between the inside air and the outside air. This prevents the inside and outside air from coming in contact with each other and preventing heat loss or heat gain. What are the number of cell options available? 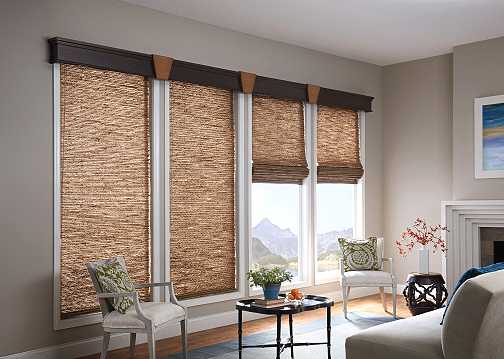 Cellular shades come in options on single-cell, double-cell and triple-cell. The more cells, the higher the energy efficiency. 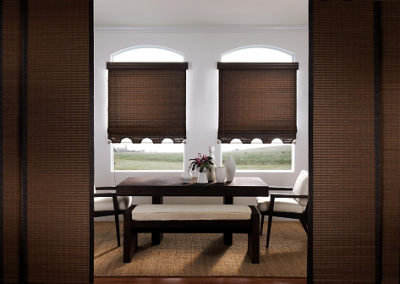 Woven shades are a good option if you are looking for a casual, natural look as well as an eco-friendly option. Woven shades are made from renewable natural sources such as bamboo, jute or grasses. 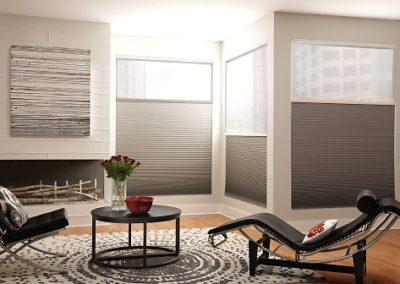 Vertical blinds are a very versatile choice as it is easy to control light and privacy and they come in a variety of materials and options. They are easy to care for and have a cord free wand which is safe for homes with children. 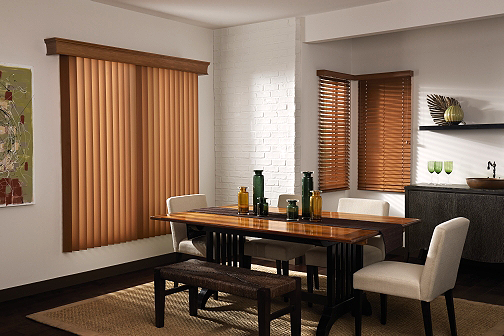 Faux wood blinds are a great choice when you want the look of real wood blinds, but may have less than favorable conditions for wood. They are resistant to extreme temperatures as well as moisture and humidity and they are budget friendly. Why should I consider exterior sun screens? You can install exterior sun screens to your patio for protection from heat, glare and UV rays. Protecting your patio adds a layer of defense to the interior of you home. 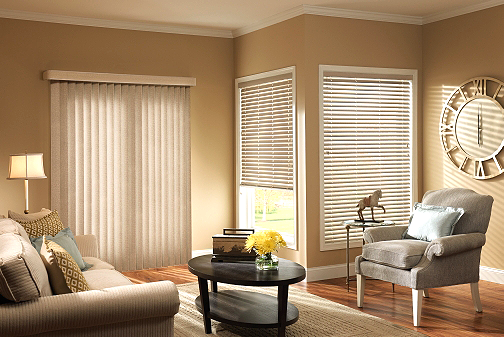 What are the different types of blinds? 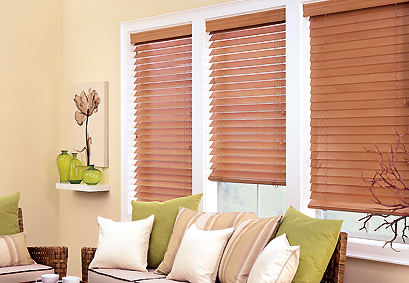 There are many varieties of blinds to choose from. 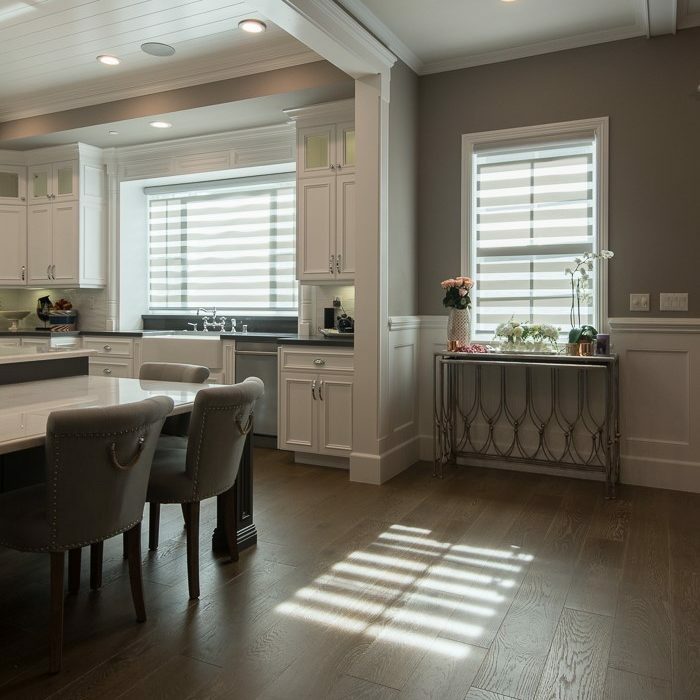 The can be broken down into these categories: Persian or Venetian blinds consist of horizontal slats stacked on each other; Vertical blinds; Roman Shades; Roller Blinds; Wood Blinds; Faux Wood Blinds. What is the difference between a blind and a shade? 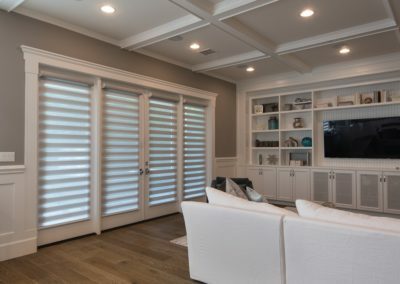 Blinds have slats that can be moved to adjust the amount of light you want to enter your room, while shades are typically one piece of soft material that raises all at once. 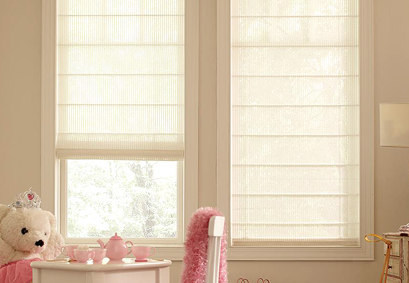 Panel track blinds are a cross between draperies and vertical blinds. They are a group of panels that slide open and closed on a track system. 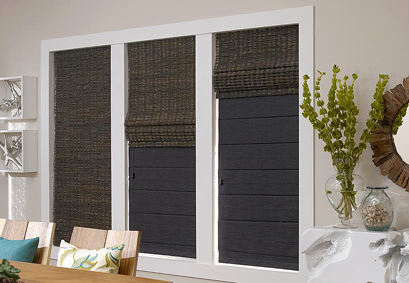 They are a great option for large windows and sliding glass doors. They can also be used as room dividers and they come in a wide variety of materials. 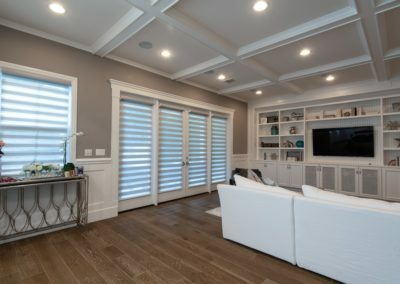 What blinds are a good choice for french doors? If you look at french doors as another type of window, it makes selecting a treatment easier. Many treatments will work on french doors, allowing function and design. 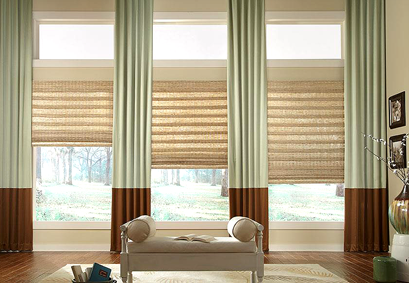 Some options include cellular shades, roman shades, roller shades, sheer curtains and all types of blinds. 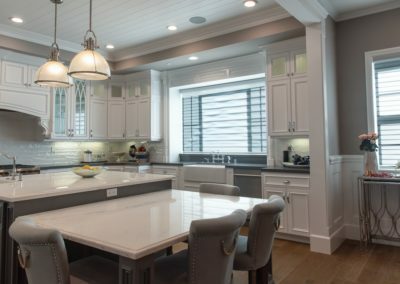 What is the difference between room darkening and blackout shades? Sometimes these terms are used interchangeably, A true blackout treatment will remove all light from entering your room, including the halo of light that may enter around the treatment. 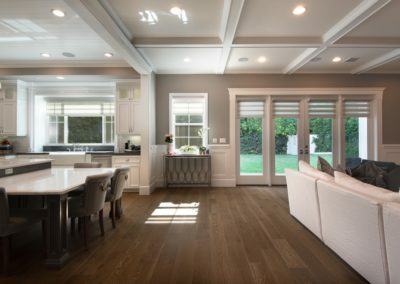 A room darkening treatment can be any treatment with an opaque material that limits the amount of light entering your room. Solar shades are made from a mesh material. They are similar to other shades in that they block sunlight and glare, buy they are designed specifically to block UV rays. Why would I want solar shades? 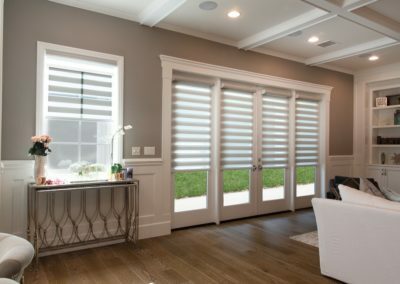 Two great benefits of solar shades is that they block UV rays which can protect your furnishings, and they are a good insulator which makes them a good choice when looking for an energy efficient window covering. What options should I consider when shopping for solar screens? When shopping for solar screens, it is important to evaluate what your goals are. You should decide whether blocking heat, blocking cold, maintaining views or daytime privacy is most important to you. Once you understand your goals, it will make shopping for the right product easier for you.